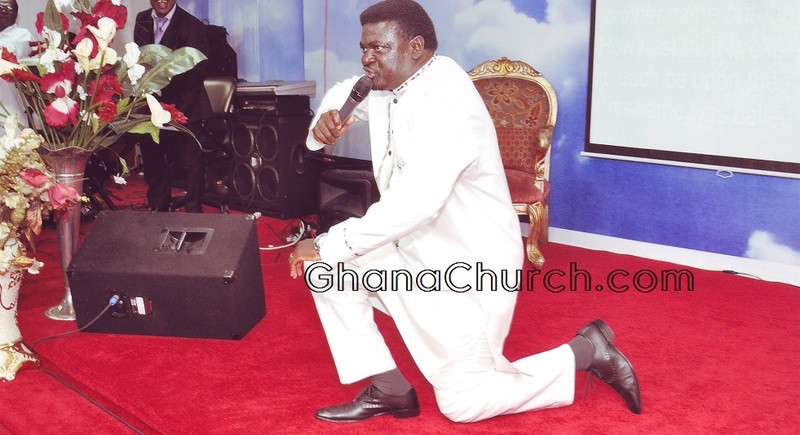 Prophet Emmanuel Amoah was called by God into full-time ministry in 1986 with Apostolic and Prophetic office and Anointing, the grace and measure of rule over his life has helped manifest the wonderful and significant fruits over the years in the area of Church-Planting, Raising Leaders, Shaping Visions and Building Society By The Word of God. 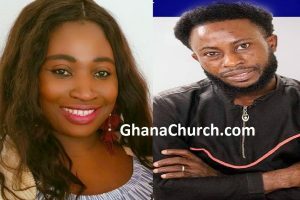 The church which began with few people has now grown significantly with Branches in various regions of Ghana, The Anointing of God over his ministry has taking him to 22 Countries including U.S.A, Canada, Singapore, Australia, New Zealand, Nigeria, South Africa, Korea, U.K, Italy, Germany, Cote D’lvoire and many more, preaching and teaching the word of God with sign and wonders following. The prophetic grace and anointing of God over his life is one of the divine nugget which has made significant impact on many churches, organisations and individuals around the globe with divine accuracy, signs and a wonder to many, He is a fire brand of a living grace of God for this generation. His weekly Radio broadcast reaches millions of souls with testimonies of healings, miracles, salvations and faith back into peoples heart and life for Gods glory. Many people from different faith have received salvation and a change of heart through this media-ministry. Prophet Emmanuel is married to Augustina with four daughters, Emmanuella, Miriam, Rachael and Abigail. Prophetic Emmanuel Amoah is the founder and Senior Pastor of Calvary Redemption Church which by the grace of God over his life since birthed 1991. The Lord commissioned him to build a resourceful centre to cultivate Kingdom culture in our world by raising leaders from the average followers of Christ. Over the years, the church has made a significant impact in the Nations of Ghana and beyond by planting churches within the regions of the country. The church was originally started in Kumasi and has since planted several branches and other networks alike. His message and dream is to get people to live the promise and not just talk about it, with this task comes with responsibility to create an atmosphere conductive to prepare for the heavenly mandate which the church now serves as the womb in birthing such individuals. The church is vibrant and Holy Ghost filled atmosphere which restores, reforms and refreshes. Emmanuel Amoah was instrument used by God to found Calvary Bible College in 1995, the vision given was to train, prepare and equip men and women for the end-time harvest with the demonstration of God’s power. The objective of the college is to put skills and practical know-how into the hands of the common child of God which shall enable them facilitate the Kingdom culture in our society. Over the years, the result has been phenomenon growth with students from across denominational backgrounds coming together with the hunger for the mysteries and riches in the written word of God. The college is inter-denominational from its insertion and has remain very much the same which has been the mark of uniqueness that attracts students from all creed in order to be trained for good works to the building of the Kingdom of God. The Slogan for the college is (TRAINING TOMMOROW LEADERS TODAY). Over the years, we have seen hundreds and hundreds trained and are making great impact in Africa and the rest of the world. We are pleased and grateful to God for what he is doing through this extension of his grace. The world is in need of such individuals-mature men and women patterned after the word of God with Ministries Prepared Spiritually, intellectually and practically for victories God intends for his Church. Men and Women filled with the desire to see the earth aflame with the glory of the Lord. Such a task requires much more than just education. Academic and spiritual excellences are the requirement at Calvary. Prophet Emmanuel Amoah has the divine mandate to reach the lost with the Gospel of Salvation outside the church walls into the street, highways and public areas as the scripture says. This part of God’s commission over his servant yield tremendous fruits in souls getting saved, sick been healed, oppressed been delivered and many more miracles. The Apostolic Prophetic summit is the gathering of God’s Generals from across the world denominations for the sole purpose of open the STORE HOUSE OF GRAIN and OIL for the wounded Armies from the BATTLEFEILDS to feed from the TABLE OF THE LORD. It is the Kairos moment of the divine where men and women of God with highly anointed in their respective offices, gifting and wisdom to impact and share with the armies of God. It is written in the divine manual (bible) that, IRON SHARPENS IRON, for this reason the vision to bring God’s army from their various challenges, difficulties frustrations aside in a nice Hotel to refresh, restores and rejuvenates the spirit of God over these precious men and women of God. In order to help avoid Burn-out which is becoming a great deal of concern in our world?